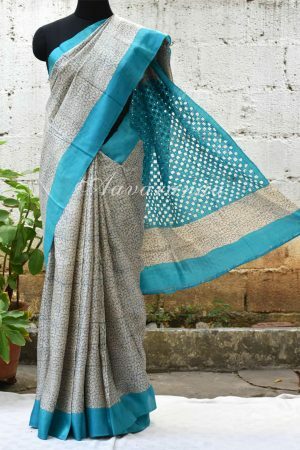 Grey tussar hand block printed with blue border. 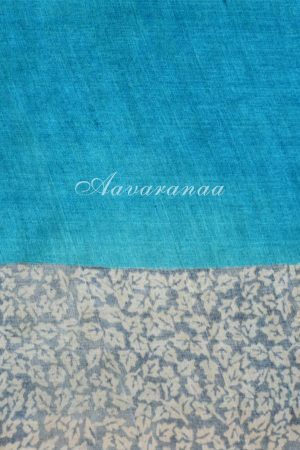 Pallu is blue with cutwork. 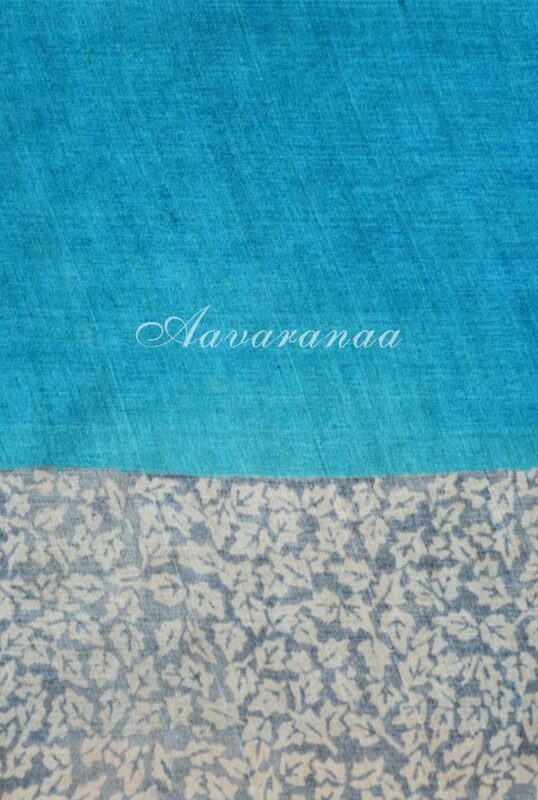 Blouse : Blue tussar with grey printed border.